And so the first arc of Season 10 reaches its conclusion with this fifth issue. As could have been expected from the previous issue already, not everything is resolved: the role of an introductory story arc is to set things up for what will follow, not resolve outstanding issues from nine seasons of mythology, as much as fans might be eager for it after eleven years of absence of mythology developments!This lowdown is of course as much a review of this issue as it is for the whole “Believers” arc. Previously in Eat The Corn: the lowdowns on #1, #2, #3 and #4. Since The X-Files ended in 2002, and apart from 2008’s I Want To Believe and the aborted project Fencewalker, Chris Carter has not been associated with a creative project. But for the last two years, Carter seems determined to return to the little screen. There has been the TV series project Unique, which did not get sold in 2011. And now there are two projects simultaneously: The After and a second, yet untitled, show. See here for that second show. What happens when the end is now? THE AFTER is not POST-apocalyptic, it is REAL-TIME apocalyptic. 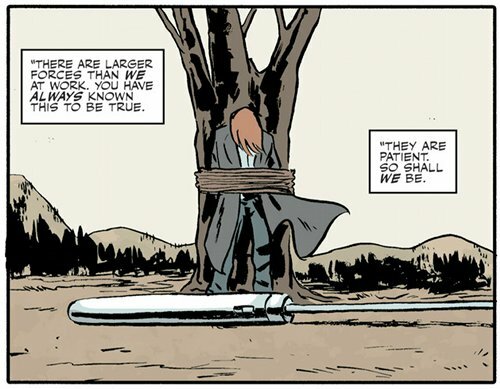 It is Chris Carter’s take on what could and would happen at the beginning of the end. Suddenly, on a perfectly normal day, our power goes out. Our cell phones and Internet cease to work. We can’t communicate with our loved ones or watch the news on TV. Very quickly the world goes crazy. SOMETHING terrible has happened out there… but WHAT IS IT? Is it supernatural? Geological? Biblical? 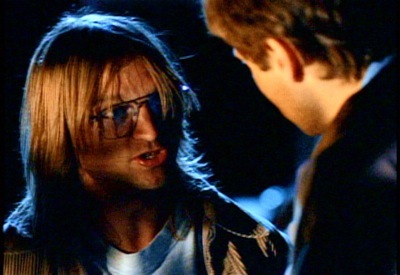 With The X-Files, Chris created a format which many shows follow today, wherein some episodes are “mythology” episodes, following the continuing story arc of the show; while others are self-contained “monster of the week” episodes. We intend to employ a similar format with THE AFTER. Independent TV studio, Georgeville Television has teamed up with The X-Files creator Chris Carter to finance a new drama series. Entitled The After, the series will debut at next week’s MIPCOM TV market where it will be shopped by newly formed Sierra/Engine Television. 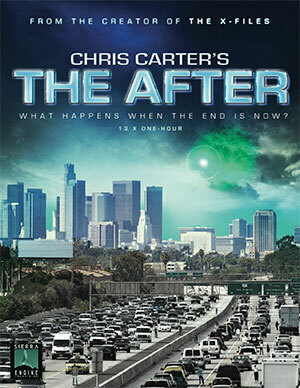 Written by Carter, The After is a thriller which revolves around a mysterious, unexplained event. In the vein of The X Files, The After incorporates elements of science fiction, suspense, and real-world fear and paranoia. “Chris has woven his mythology magic within a very human, grounded story about the moment when we realize all of our worst fears about the world and its future,” said Georgeville CEO Marc Rosen, who co-founded the company earlier this year with Leon Clarance of Motion Picture Capital, the financing arm of Reliance Entertainment. In addition to The After, GVTV is also financing a remake of the cult UK sci-fi series Blake’s 7 with feature director Martin Campbell (Casino Royale) for Syfy, Hunters, a pandemic thriller drama from Overbrook Entertainment and Babylon 5 creator J. Michael Straczynski at ABC as well Sense8, a supernatural series from the Wachowskis (The Matrix) and Straczynski. Sierra/Engine is handling the international distribution for GVTV’s projects, which also include Neil Cross’ midseason NBC pirate drama Crossbones. Carter has been looking at non-traditional TV development/production for his return to television after The X Files. Last year, he teamed with MRC for female-drive thriller Unique, which didn’t get set up at a network. Carter and Georgeville are with CAA. This new series follows the aftermath of a mysterious event and will incorporate both supernatural and suspense elements that run through most of Carter’s work. In fact it’s not apocalyptic, it’s very apocalyptic. In fact it’s the first five seconds when it begins, the five minutes, the five hours, the five days, the five weeks. Normally, films — and even series, like “Revolution”, but films normally — they jump a period of ten years, twenty years, something that is ahead. Because you want special effects, production design, things like that. But with us, it’s really reality, it’s what happens if you and me we are here, something happens outside and we find ourselves in the middle of we don’t know, if it’s aliens, if it’s biblical, if it’s supernatural, à la Chris Carter in the X-Files. Each week our group of characters will try to find exactly what’s going on. But as it’s Chris Carter we’re going to do twists and turns I think with the mythology. In fact it’s — he’s going to say the same thing — it’s the closest to the X-Files compared to anything else he’s done today. It’s because there’s a secret with what’s going on, supernaturally or otherwise, and characters who are trying to find that out. At the same time they have missions themselves: to find the family of one of them, to find medicine for another, and for that they hold on together throughout the whole series. We are going to see the voyage between Los Angeles and New York in the first season, and afterwards we have twists and twists that Chris invented. I think that the audience who liked the X-Files will like this show here. Amazon Studios seems to be gearing up for its next batch of scripted pilots, which is expected to feature both comedy and drama projects. The company already has greenlighted drama pilot Bosch, a police procedural based on Michael Connelly‘s novels about Harry Bosch, and Jill Soloway’s comedy pilot Transparent starring Jefferey Tambor. I hear there are several other projects that are zeroing in on a pickup. That includes The After, a drama from Chris Carter and Georgeville TV set at the moment of apocalypse. The X Files creator is set to write and direct. […] In its first-ever pilot orders in April, the company picked up 6 kids and 8 comedy pilots, five of which — 3 kids and 2 comedy — went to series to stream later this year and in early 2014. Assuaging the fears of writers and creatives who might be reluctant to place the future development of something they have poured their heart into in the lap of the viewer, Price says the point is seeing what people react to, not using feedback to tweak the narrative or alter a story arc. “That’s an important distinction, it’s about assessing how successful something is in its current form versus coming up with the answer – we are not proposing crowd-sourcing a show’s creative direction,” he says. The manner in which Amazon will release the content to those subs is under discussion, but Price is cool on the simultaneous release model pioneered by Prime Instant’s chief rival, Netflix, citing the need to build buzz and also the drawback of waiting for a series to finish production before it launches. The X Files creator Chris Carter is close to a TV return with his first pilot in more than a decade. I’ve learned that Amazon Studios has moved forward with a pilot order to The After, Carter’s project with Georgeville TV. Carter wrote and is set to direct the thriller, which takes place at the moment of apocalypse. Georgeville TV, founded by Marc Rosen and Reliance’s Motion Picture Capital, first teamed with Carter for The After last fall when the project was taken to MIPCOM by Sierra/Engine TV. The After joins another Amazon drama pilot, recently ordered Bosch, as the company is looking to launch its first hourlong series. Amazon also has Jill Soloway’s comedy pilot Transparent starring Jefferey Tambor, and football comedy The Outlaws, written by Jeremy Garelick and Jon Weinbach and executive produced by Ice Cube, also is gearing up for a pilot shoot. In October 2013, pre-production of the pilot is in full swing, with several announcements of casting — accompanied by short character descriptions! First, Jamie Kennedy as “a professional clown”, Adrian Pasdar, as “an escaped convict who proclaims to be an innocent man who was railroaded”, and Aldis Hodge, as “a successful Beverly Hills businessman”. Second, Louise Monot , as “Gigi, a woman caught up in the midst of the action”, and Sam Littlefield:, as “the mysterious Dark Shadow”. The announcement above adds 4 more actors to the ensemble cast of 9: Sharon Lawrence, Andrew Howard, Arielle Kebbel, Jaina Lee Ortiz. Other characters complete the cast: Gangster #1-4, Fireman, Fireman Night, Garciela, Gang Leader. IMDB also provides some crew — the most important of which might be the director of photography (Nelson Cragg, who has worked on Howard Gordon’s Homeland) and the production designer (Tony Fanning, who has worked as art director in some Spielberg films). As with Amazon Studios’ previous pilots, anyone on the Internet will be able to watch the pilots and provide feedback that the company will use to determine which pilots to produce as series. The dramas are scheduled to stream exclusively on Prime Instant Video and Amazon’s LoveFilm in the U.K. in early 2014. In November, Amazon is expected to premiere its first original series, both half-hour comedies. Amazon’s original productions and exclusive content are available to members of Prime, which provides free two-day shipping on select items for $79 per year as well as Prime Instant Video and other perks. The company had nearly 11 million Prime members at the end of the second quarter of 2013, analyst firm Morningstar estimates; Amazon does not disclose figures for Prime but said it added “millions” of new members in the third quarter. And that’s where The After stands! The usual process is for a pilot to be shot, which sets the general aesthetic and stroy threads. The studio then evaluates whether it wants to move forward with a half-season or full season episode order — in the case of Amazon and The After, using viewers input from the pilot as well. The pilot for The After was shot in the second half of October 2013, it now has to go through post-production and air in early 2014 (February?). The show proper starts production and broadcast some time after that. So if all goes well, we will get to see The After sometime in late 2014. Amazon is an online platform, so it doesn’t have to align to the usual schedule for a TV season, i.e. start of broadcast in the fall and end of broadcast in late spring, The After could start any time in the year. Although it’s way too early to form an opinion, and although the information that has filtered out might be misleading or too partial, from that short synopsis it’s true that The After sounds a lot like another run-of-the-mill big concept show the likes of which there have been many lately — and few of them have survived beyond their first season. For example, The Event (2010, 1 season, supernatural events and conspiracies involving extraterrestrials), FlashForward (2009, 1 season, people unexplainedly have a vision of their lives 6 months in the future), Revolution (2012, 2 seasons and ongoing, post-apocalyptic survival after a world blackout), Falling Skies (2011, 3 seasons and ongoing, post-apocalyptic survival after an alien invasion)… Most of those are broadcast on networks, not cable, and really feel like they were purposefully created to replicate Lost, a show that was both popular and addictive, using elements of Survivor and of the supernatural or science fiction or horror. Lost also used a premise of various unrelated characters who are thrown together and try to survive, like The After. It’s possible that Carter’s ideas are far away from all these concept shows, and we won’t know until more information is released. Despite all that, it’s exciting to see Carter working on something new — his particular sensibilities that can be seen across all Ten Thirteen productions are unique and would enrich enormously today’s television. Chris Carter is coming out of “post-XF retirement” — which I’m sure was very enriching for him personally! — not with just one but two projects for television: The After and a second, yet untitled, show. See here for The After. …and that’s essentially all the information there is! This is still a project very much in its initial brainstorming phases, much less mature than The After, which is developed enough to go on production. This show first has to go through many draft phases and discussions between AMC and Carter before AMC decides to go through with it (or not) and order a pilot to be shot — and then it might not necessarily go through all the way to series. So this is potentially something that might not reach your TV/laptop/device before late 2014 at best, 2015 more likely. In terms of subject, this is a much more reality-based project than The After — it’s even the most down-to-earth project Carter has been involved with! The obvious association with his past work is the governmental conspiracy angle, although much closer to the conventional, agencies secrets and information manipulation, aspects rather than the New World Order conspiracies that are more allegorical storytelling devices than things he might genuinely believe in. We are also reminded of The World On Fire, the 2000 project with JM Straczynski (Babylon 5) that would have started from a very real political situation before deviating into war after an attack on New York City — and so failed to become a series because September 11 2001 happened. 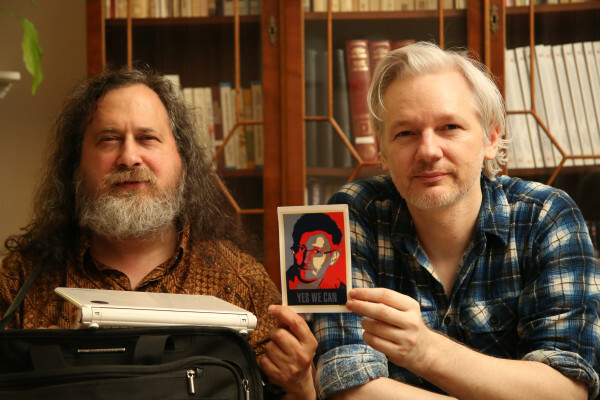 So: Wikileaks. NSA surveillance of civilians. Cover-ups of unethical military-sanctioned acts. Mass media. News outlets servicing one or other side of an argument. Hacktivism. These are highly topical (XF Season 10 writer Joe Harris also mentioned them as sources of inspiration), and hotly debated issues. Things can get very political very quickly. It will be interesting to see what kind of approach Carter will take. Regardless, this kind of pitch is not something we would expect from a network channel, it is much more adapted to cable or independent productions. What’s changed in the industry and writing/production process since you launched “The X-Files”? There are more and different places to pitch and to develop, and I think you’re looking at the obvious eclipse of broadcast television by cable in terms of content. Things that you can’t do on broadcast now that you can do on cable, which is making it feel like a superior product. It’s not more popular, but you’re watching viewership go up on cable so that now cable is actually starting to give broadcast a run for its money. […] You’re looking at a change, and that’s an exciting thing, but what it says to me is there are also opportunities to do inventive things on broadcast television and still get a large audience. Was that what inspired you to write a cable show? I love the idea — as do a lot of people who have done broadcast shows, where you’re doing 22 episodes a season — of doing six, eight, or 10-13 [episodes]. That is very appealing to me, and it actually allows you to attract a different kind of actor because they aren’t doing it 10 months a year, they’re doing it three months a year. That’s a benefit, too. This shows that he is much more interested today to write for cable than for a network, and in a format more compact than the tiring and plethoric schedule imposed by a network TV schedule: around 10-13 episodes per year instead of 20-25, around 4 months of shooting instead of around 9. The choice (was it Carter’s choice?) of AMC is also interesting. AMC started doing original dramas only relatively recently, and made a name of itself with two huge successes: Mad Men and Breaking Bad. The first is wrapping up in 2014-2015 (one season split in two), the second just finished (and gloriously at that!). AMC might be looking for replacement shows, and might see in Carter’s project a more heady, critical acclaim-oriented show as a counterpoint to its popular success of The Walking Dead. Also, obviously XF alumni Vince Gilligan was involved with AMC with Breaking Bad, but that doesn’t necessarily mean anything as far as Carter is concerned. Let’s hope this germ of a show develops and that we’ll hear more of it in the future!